And two hundred years after the adoption of this singularly-important document, praised by justice Story in one century and Historian Bancroft in the next and said by Sir William Gladstone to be “the most wonderful work ever struck off at a given moment by the brain and purpose of man,” the Constitution of 1787 – with its Bill of Rights – ­remains, yet another century later, a bulwark for liberty, an ageless formula for the government of a free people. In what sense can any document prepared by human hands be said to be ageless? What are the qualities or attributes which give it permanence? America’s Constitution had its roots in the nature, experience, and habits of humankind, in the experience of the American people themselves – their beliefs, customs, and traditions, and in the practical aspects of politics and government. It was based on the experience of the ages. Its provisions were designed in recognition of principles which do not change with time and circumstance, because they are inherent in human nature. “The foundation of every government,” said John Adams, “is some principle or passion in the minds of the people.” The founding generation, aware of its unique place in the ongoing human struggle for liberty, were willing to risk everything for its attainment. Roger Sherman stated that as government is “instituted for those who live under it … it ought, therefore, to be so constituted as not to be dangerous to liberty.” And the American government was structured with that primary purpose in mind – the protection of the peoples liberty. Of their historic role, in framing a government to secure liberty, the Framers believed that the degree of wisdom and foresight brought to the task at hand might well determine whether future generations would live in liberty or tyranny. As President Washington so aptly put it, “the sacred fire of liberty” might depend “on the experiment entrusted to the hands of the American people” That experiment, they hoped, would serve as a beacon of liberty throughout the world. Recognition that love of liberty is inherent in the human spirit. Recognition of Creator-endowed, unalienable, individual rights. Recognition that in order for a people to be free, they must be governed by fixed laws that apply alike to the governed and the government. Recognition that the Creator has not preferred one person or group of persons as rulers over the others and that any government, in order to be just, must be from among the great body of the people and by their consent – that the people have a right to self-government. Recognition of human weakness and the human tendency to abuse power; therefore, of the need to divide and to separate the power granted to government; to provide a system of checks and balances; and to make government accountable to people at frequent intervals. Recognition of the need for structuring a government of laws, not of men, based on enduring principles and suitable not only to the age in which it is formed, but amendable to different circumstances and times, without sacrificing any of the three great concepts of Order, justice, or Liberty. Recognition that the right to ownership of property is a right so compelling as to provide a primary reason for individuals to form a government for securing that right. 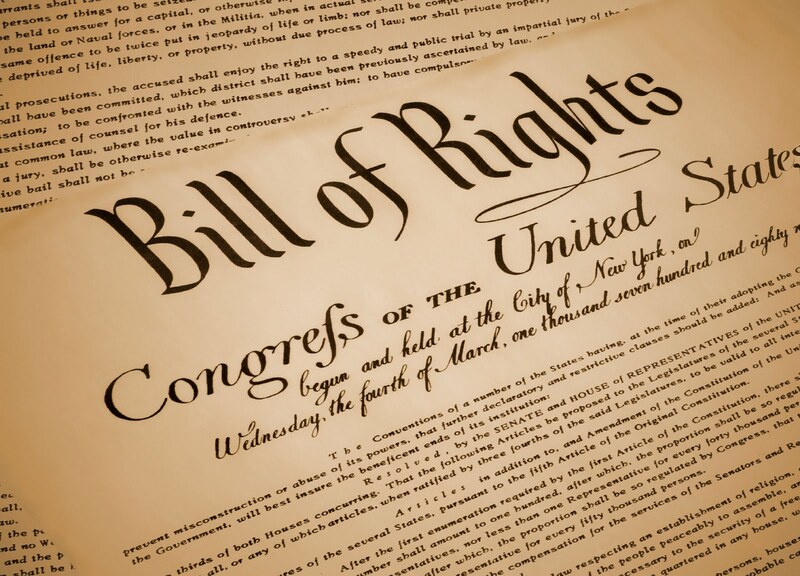 Recognition of the need for protecting the individual rights of each citizen, rich or poor, majority or minority, and of not allowing the coercive power of government to be used to do collectively that which the individual could not do without committing a crime. Recognition of necessity for incentive and reward as impetus for achievement and growth. 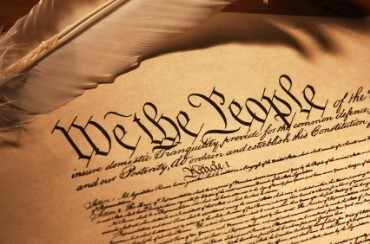 Recognition of the need for a “Supreme Law of the land” a written constitutionwhich, consistent with its idea of the sovereignty of the people, would provide its own prescribed amendment process, thereby circumventing any potential unconstitutional changes by any of the branches of government without the people’s consent. The Constitution of the United States of America structured a government for what the Founders called a “virtuous people – that is, a people who would be able, as Burke put it, to “put chains on their own appetites” and, without the coercive hand of government, to live peaceably without violating the rights of others. Such a society would need no standing armies to insure internal order, for the moral beliefs, customs, and love for liberty motivating the actions of the people and their representatives in government – the “unwritten” constitution – would be in keeping with their written constitution. Because it rests on sound philosophical foundations and is rooted in enduring principles, the United States Constitution can, indeed, properly be described as “ageless,” for it provides the formula for securing the blessings of liberty, establishing justice, insuring domestic tranquility, promoting the general welfare, and providing for the common defense of a free people who understand its philosophy and principles and who will, with dedication, see that its integrity and vigor are preserved. Our ageless constitution can be shared with the world and passed on to generations far distant if its formula is not altered in violation of principle through the neglect of its keepers – WE, THE PEOPLE. This article was taken from www.nccs.net/our-ageless-constitution.php. Details: Dr. Earl Taylor (of the National Center for Constitutional Studies) will present a primer on the U.S. Constitution.